Before we can truly differentiate, we need to know more about our new students than their previous test scores. 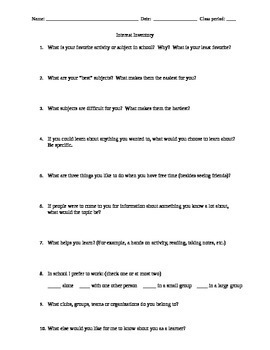 This questionnaire allows me to get a quick glimpse into personalities and learning styles (plus it's always fun telling them they have homework on the first day of school). I use these to create my initial seating chart and hang onto them until the end of the year when I return them to the students so they can see if or how much they have changed.